These strange $8000 register numbers remind me of the Toy Story mapper 219, although the numbers are not the same. The original Joy Van release of Master Chu and the Drunkard Hu (盜帥, Dàoshuài ) has the same chip. The only known dump of that release is a mapper 3 hack, but even that one retains the same $8000/$8001 writes. The attached Kazzo dumping script, which worked well with that early Jovial Race cart, should produce a working dump of Dàoshuài as well. 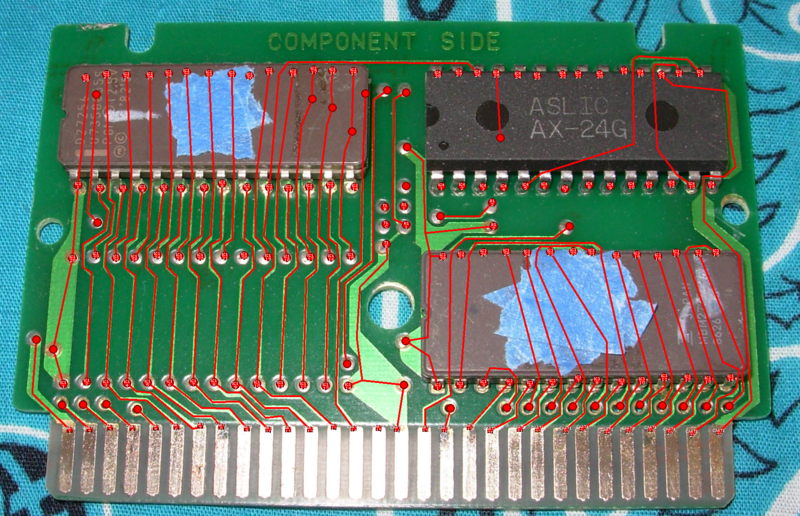 The AX-24 chip seems to switch too slowly for the Kazzo, so a delay loop was necessary to get a usable dump. 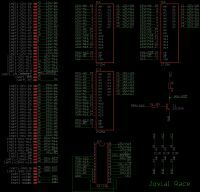 Don't suppose you have a pinout for the chip? Other than a picture of the front and back sides of the Dàoshuài cart, no, sorry. Weirdly, I don't see an obvious place for a connection from CPU A0 to it. So apparently, the AX-24G can only output PRG A15 and CHR A13 and A14, as the other pins are labelled CPU A0/A13/A14 instead of PRG..., so they are just inputs, and bank granularity is therefore limited to 32 KiB PRG and 8 KiB CHR. This makes it only more mysterious why the game writes the bank value four times to four different oddly-numbered registers ($01,$04,$21,$24). Another mystery is why the game goes through the trouble of setting bank value bits 3 and 4 as I specified (the game uses a lookup table for that). The cartridge dumped just fine when we attempted to dump it with those bits always at 0. Also, since there are only CPU-A0, CPU-A13, CPU-A14 and CPU-ROMSEL address inputs, do I conclude correctly that the address mask evaluated by the chip must be $E001? There is definitely some unknown conncetion for pins 4/5/13/15/16/17/25. 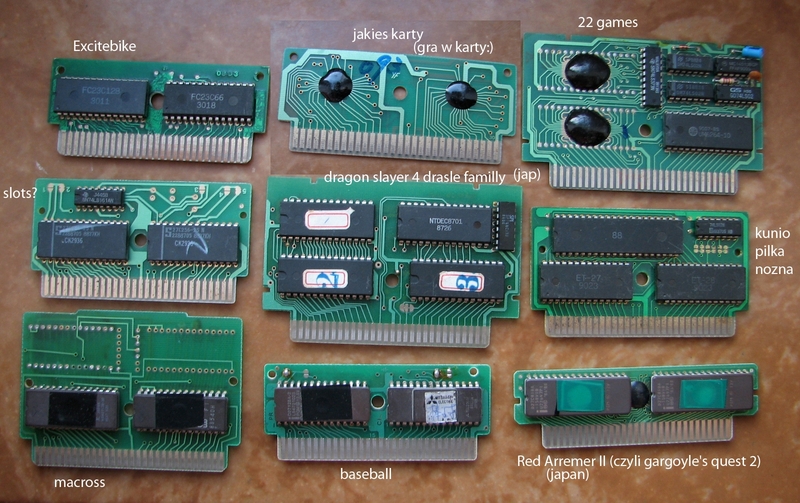 They might be connected to VCC/GND/between them to force chip to some mode. Also, internal chip structure is also not known. 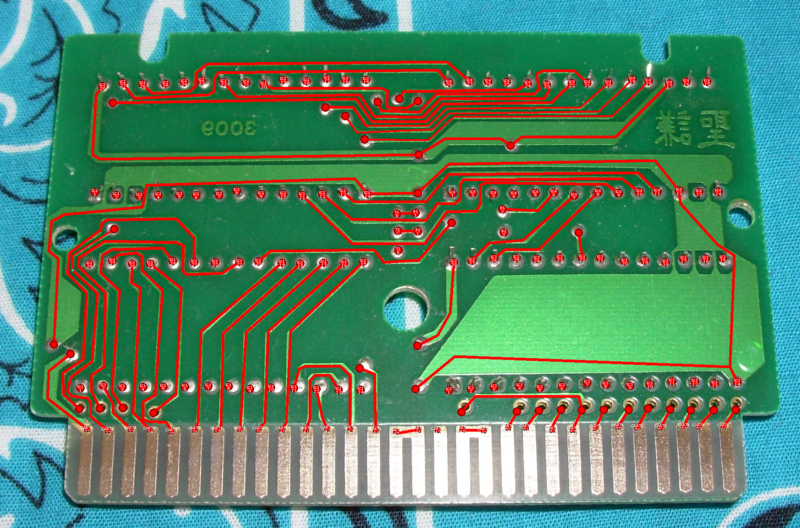 Wiring D3-D5 suggests that chip probably takes them into account, just this single game might not take use of them or might use in unknown for us way. Granularity not neccesary have to be fixed to 32 kB. Finally, M2 line is also wired for some reason, but current discovered chip functionality does not need it. Honestly, I'm more confused by the required delays in the dumper script than anything else. We first dumped it without any delays. CHR would dump fine, but the first 32 KiB PRG bank would have the first 2,668 bytes read incorrectly, meaning that only every second byte is read and then doubled. That count of 2,668 was consistent between attempts. I don't know the Kazzo enough to know how many nanoseconds, or how many M2 cycles, that amounts to. PIN24, PIN21, PIN12 - same like in this chip. PIN5 connects to the EPROM PIN 27 (=CHR A14), PIN7 connects to EPROM's CHR A13. Maybe it's INES Mapper 206 - MMC3 predecessor. That pirate board may well use the same chip as AX-24G, but then cannot use mapper 206, as mapper 206 does not do 32 KiB PRG-ROM banking. Of course, I suppose one could connect an MMC3 clone/predecessor in a non-standard way so that it does do 32 KiB banking. One would have to know the normal way that an NTDEC8701 is connected. Can you show the back side of that Dragon Slayer 4 pirate board? I've dumped the cartridge and it was 100% identical to the original (J) rom. The pirate version had absolutely no changes in ROM relative to the original. I can not take a better picture now, but if some connections are poorly visible on the photo, please show which and then I will check. Thank-you very much. 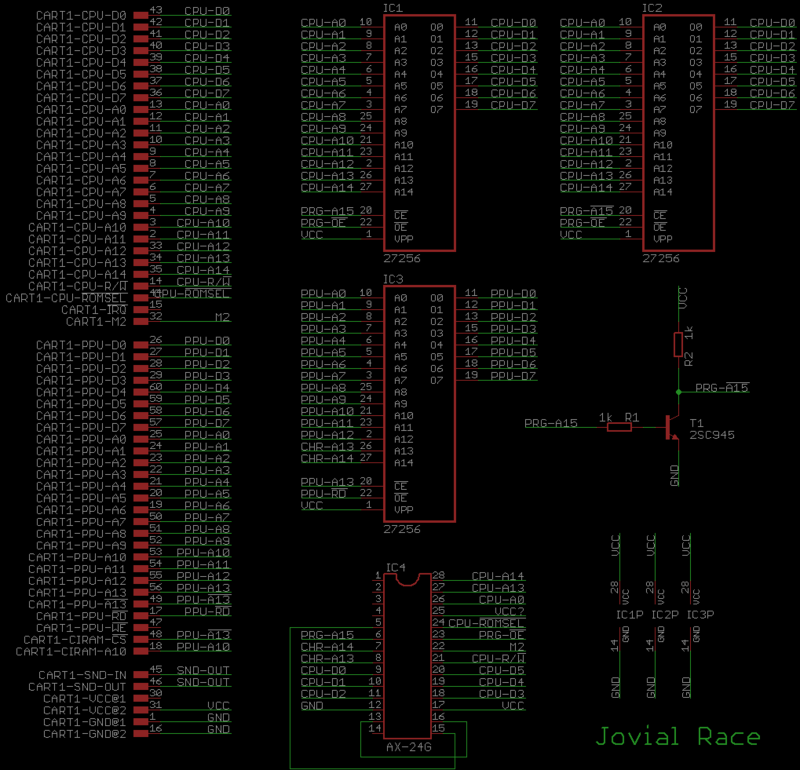 I will try to trace it and compare its connections with the AX-24G's on the Jovial Race board. I'm having trouble figuring out how CPU D0 reaches the NTDEC8701 on that Dragon Slayer IV board.